Tonight I was going to write my annual summary and choose my word and/or inspiration for the coming year. I was going to brag about how significant last year's word, "healing", was and my inspiration to "hold myself to a higher standard." Then I was going to declare my intentions for 2016, along with some advice on how to do this for yourself. But this isn't that post. So you'll have to wait. Or read last year's post. Instead, I'll tell you about today, a perfect spring day in the middle of winter. We have had a lot of spring days. I think it's only been what might be called "cold" once or twice this December. 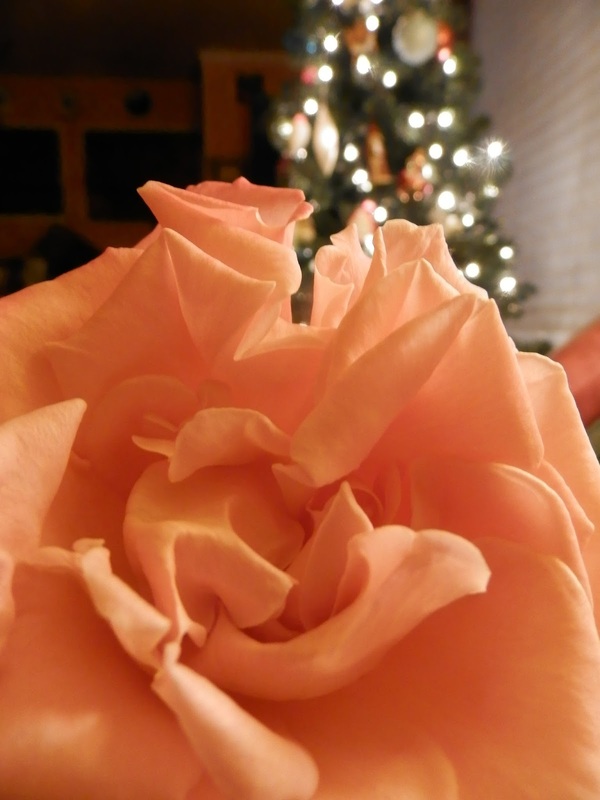 Which is what caused this beautiful rose to bloom in my front yard on Christmas Day. Crap is blooming everywhere right now. While we've had a lot of springlike days, none have qualified as perfect days like today, though. 70 degrees, livable humidity and a breeze strong enough to set all the wind chimes singing. It's one of those rare days I regretted sleeping in. So I opened all the windows and spent the entire day outside. I thought since it was a spring day, I'd do a spring activity. So I weeded and cleaned up all my containers on my deck. There are maybe 35-40 containers, so it takes some time. It seemed to go faster than usual and I enjoyed it thoroughly. I'm always so far behind on stuff around the house that it felt great to get ahead on something. Even at my sickest, this is something I made sure to do every year. Anyway, there was something about the breeze that evoked something in me. You know what I mean? The way the breeze felt as it touched my skin...the temperature, the humidity, the strength of the breeze...brought up a distant memory. The only thing is, I can usually put my finger on the memory at some point, but it eluded me this time. I sat out there with my hand in the dirt feeling this breeze and having this memory evoked, but I never figured it out. So I wondered if a breeze can evoke a memory from a past life or a parallel life. And I liked the thought of that. It felt like another, possibly better version of me. Or maybe I was remembering the memory I was creating...sort of like deja vu. All I know is that I was very peaceful and content. And I felt "normal" for the first time in a long time. Maybe today brought me back to where I left off before I spent years weighed down by sickness. Maybe I got through all the containers in just one day because it wasn't a chore for the first time in years. Maybe that breeze was a promise of more "perfect days" to come. 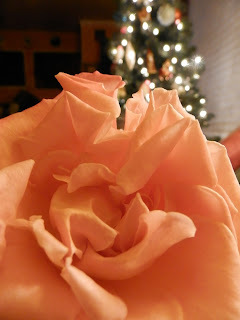 As I look around this year, I see roses, irises and azaleas blooming out of season. I see hardy annuals thriving in the middle of winter. I see my perennials poking their heads out early. Some may not bounce back from this after the freeze comes. And it will come, though maybe not as bad as usual. But that rose bush and my azaleas will do just fine. And today I got some positive signs that, even though I'm also blooming in winter, I'll do just fine, too.